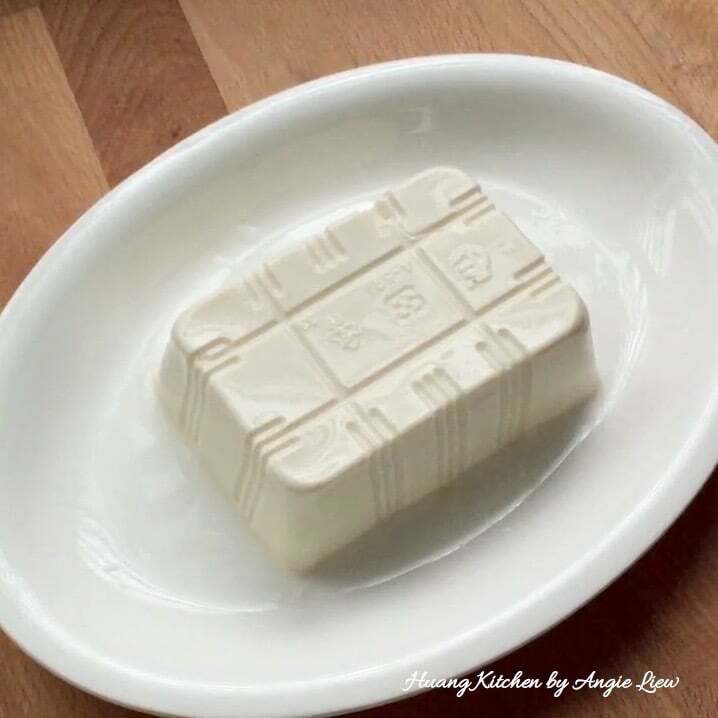 Anytime you put together ‘beancurd’ and ‘steaming’, we can always pass it off as easy! To enhance its flavour, adding in salted egg yolk will certainly presents itself with brand new tasty experience without adding too much hassle. 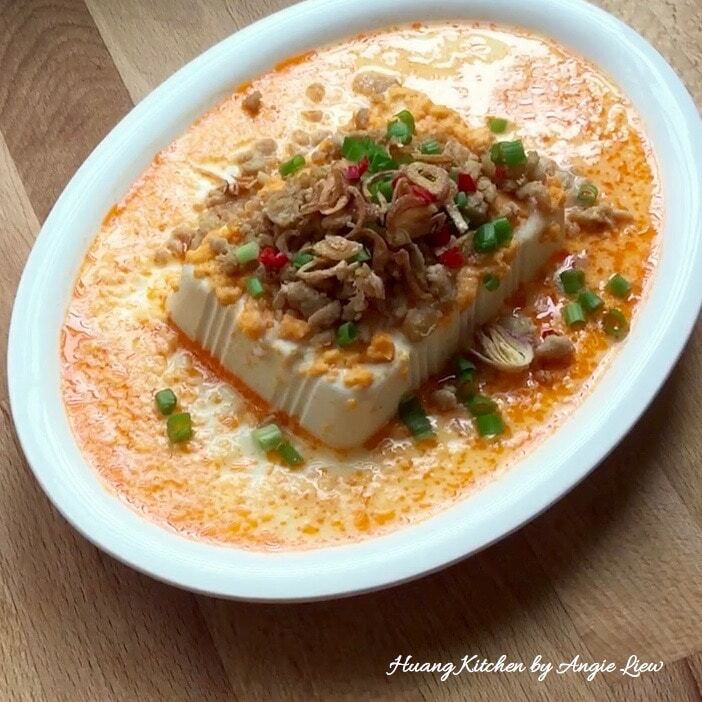 If you are looking to prepare something simple yet fancy, salted egg beancurd dish is what you are looking for! Nothing excites your tastebuds quite like salted egg yolk. 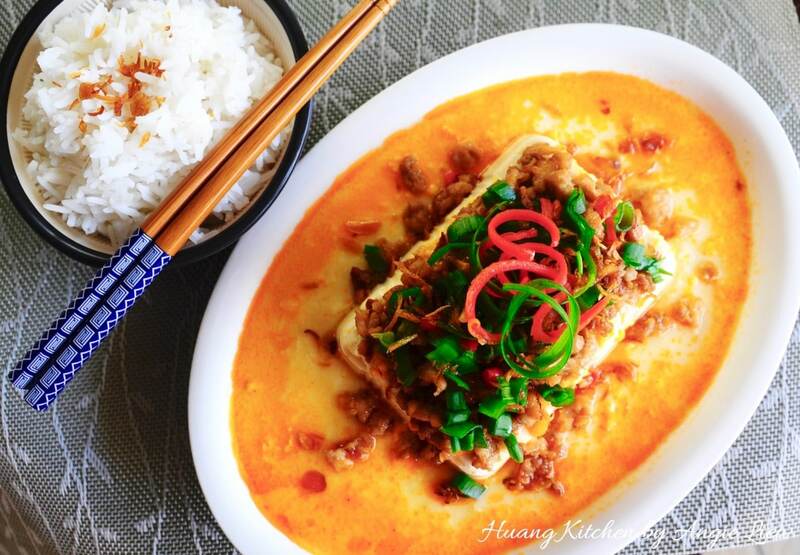 The mixture of plain beancurd and the rich fragrant goodness of the salted egg yolk makes this dish incredibly flavourful, bringing this dish to an all new level. It is a taste to remember. 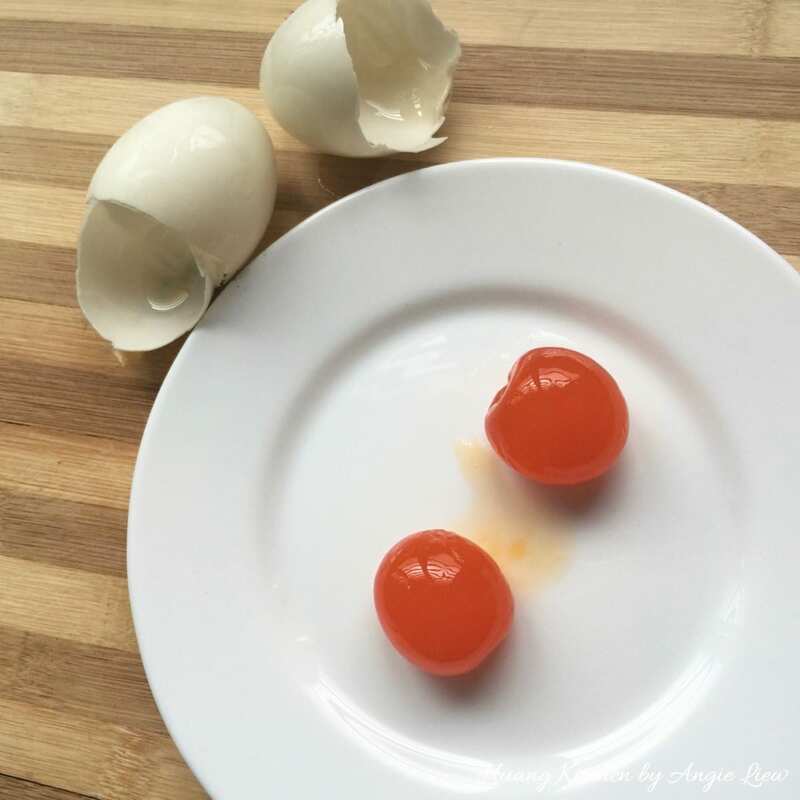 Everything taste better with salted egg yolks! So Enjoy! 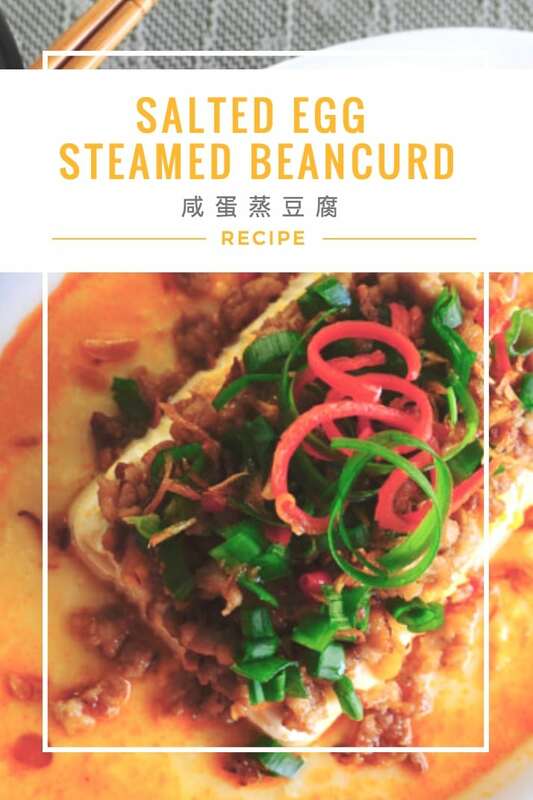 Anytime you put together 'beancurd' and 'steaming', we can always pass it off as easy! To enhance its flavour, adding in salted egg yolk will certainly presents itself with brand new tasty experience without adding too much hassle. 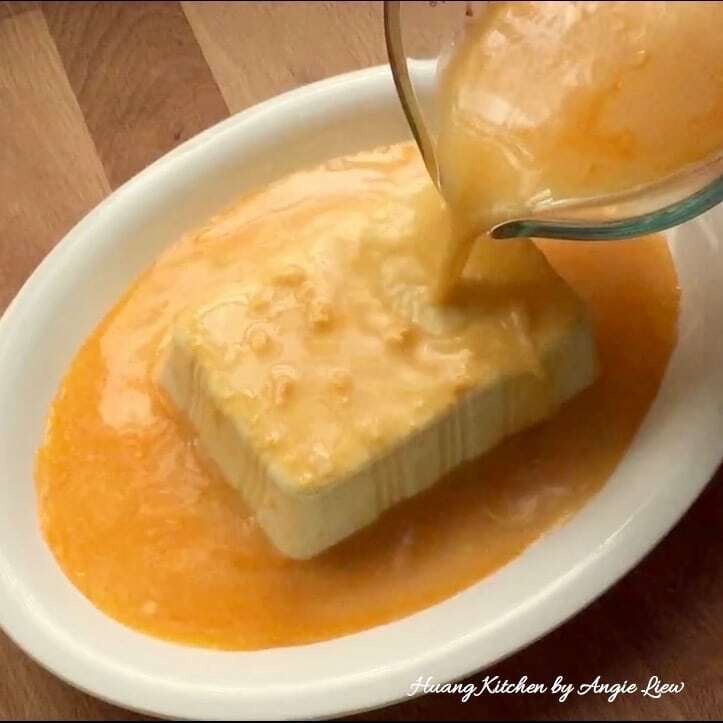 If you are looking to prepare something simple yet fancy, salted egg beancurd dish is what you are looking for! Start mincing lean meat and garlic. Chop spring onions and slice thinly shallots, to deep-fry for garnishing. Wash and remove the charcoal from salted eggs. Then break shells and extract the egg yolks. 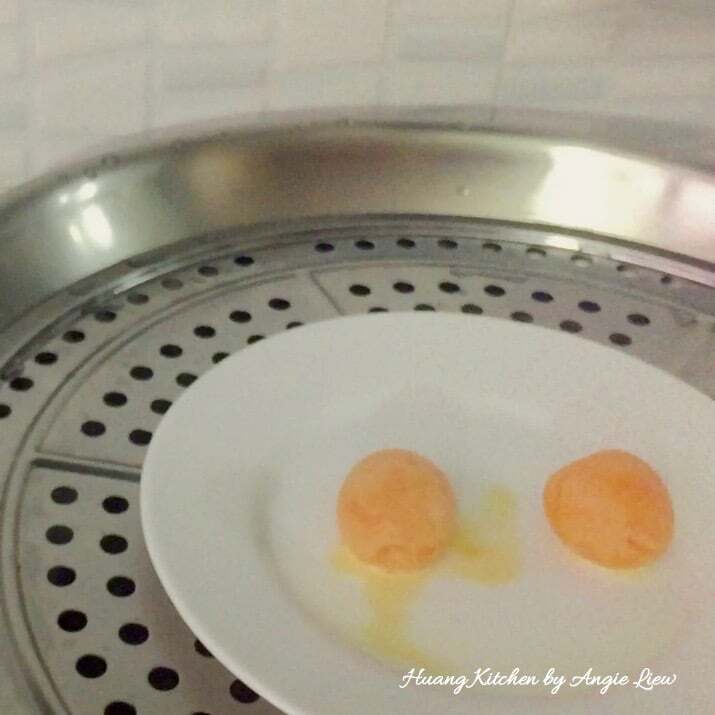 Steam the egg yolks until it is cooked, for about 7 minutes. Mash the cooked yolks while it is hot, then set aside. Beat eggs with salt, sesame oil, pepper, cornstarch and water in a bowl. Add in mashed egg yolk and mix well. 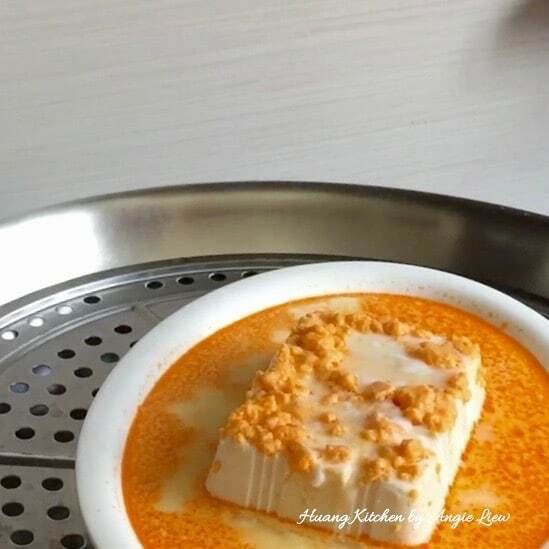 Remove beancurd from its packaging and place onto a plate for steaming. 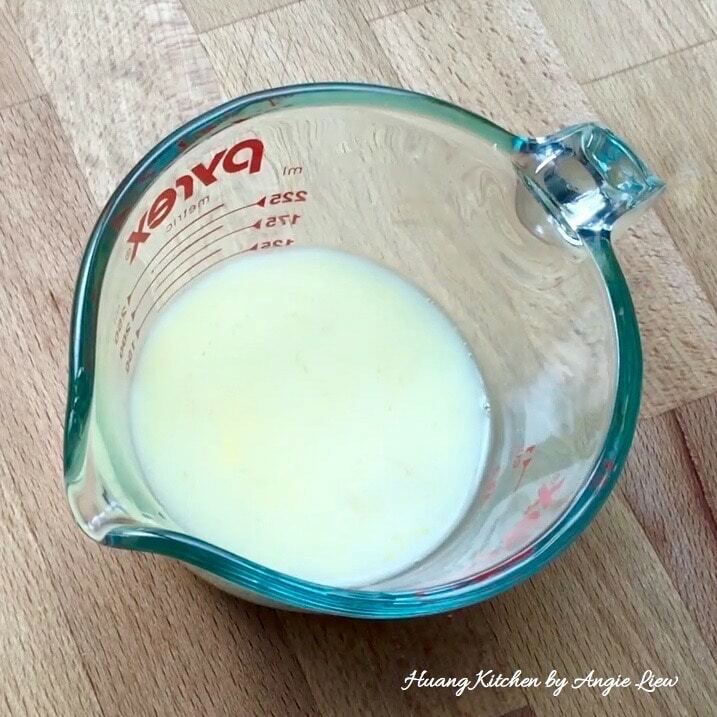 Then pour egg mixture over beancurd. Place in steamer, cover and steam on low heat for approximately 10 minutes or until the egg mixture has set. Meanwhile, deep fry sliced shallots in oil until crispy and golden brown. Then set aside to drain on a paper towel. 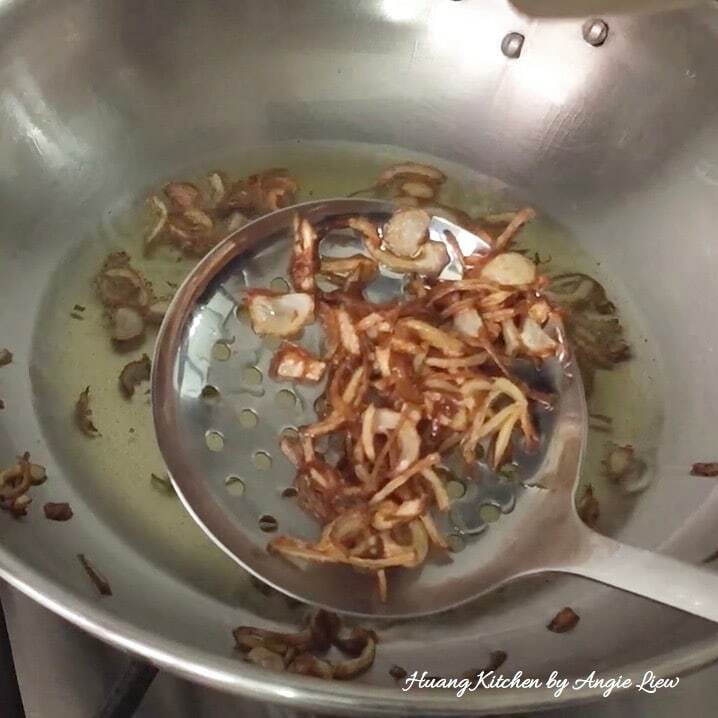 Keep one tablespoon of oil and sauté garlic till fragrant. Add in minced meat and stir fry till cooked. 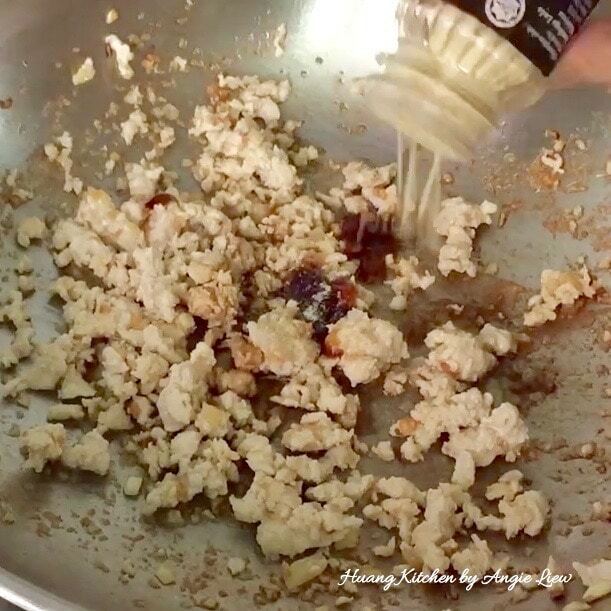 Add oyster sauce, light soy sauce, sugar and ground pepper. Stir and mix well. 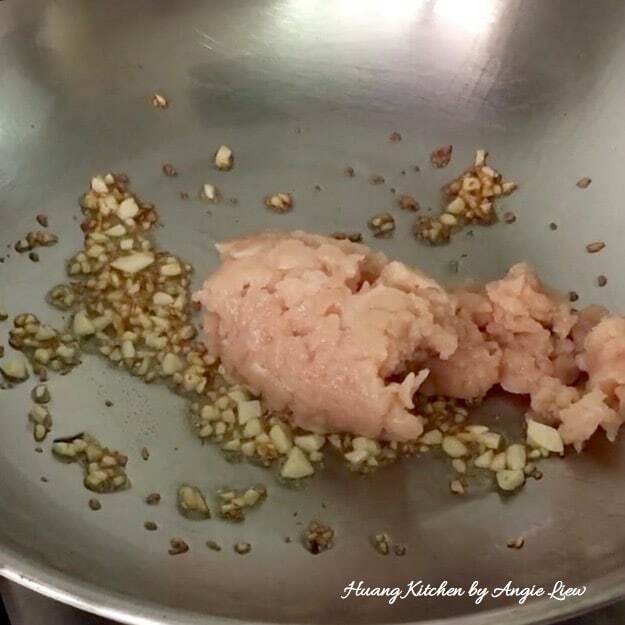 Then pour the meat mixture over the steamed beancurd and garnish with chopped spring onions and fried shallots. Serve hot and with rice. ENJOY!